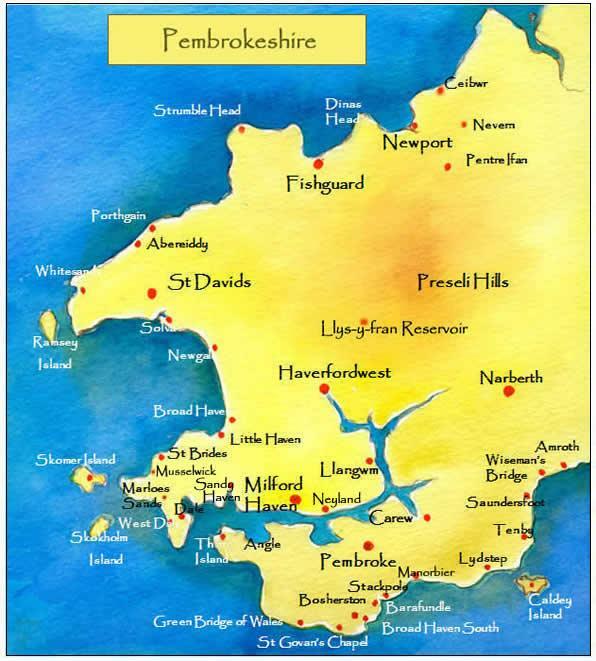 For over 50 years Europest have assisted hundreds of customers across Pembrokeshire and the rest of the UK in protecting their homes and businesses from a variety of problem pests. We know that pest infestations can strike at any time and our team provide a dedicated, friendly and professional service around the clock to cater to your individual needs. Whether you are calling from a residential or commercial property. Catering to both ongoing and one-off pest and rodent issues. The Europest team are on hand to ensure your working or home life returns to normal and any pests are eradicated safely and quickly. Whatever your pest problem, Europest’s qualified technicians can provide a solution. Using the very best techniques, ethical products and industry-grade equipment. Above all, our operatives can take care of almost any infestation and provide the resources you need to prevent pest problems in the future. Covering all domestic, commercial and agricultural environments in Pembrokeshire and surrounding areas. Europest carry out professional treatments to resolve issues with rats, mice, flies, crawling insects and other pests that cause chaos in any affected property. Similarly, we deal with pigeons and other birds that can also cause untold damage to properties, increasing maintenance and repair costs. Therefore, we provide a bird control, proofing and clearance service to responsibly resolve short and long term bird control issues at both domestic and business premises. Eurogroup have had many satisfied customers throughout the years and have in turn developed an esteemed reputation across Pembrokeshire and nationwide. Rest assured that your pest problem is in the right hands by enlisting our pest control professionals to complete a survey at your property today. Pests can cause a variety of problems in both residential, commercial, industrial and agricultural properties. Resolving your infestation can be easier than you think. Europest provide a high quality and complete service throughout Pembrokeshire and the south west of England. Our technicians are full members of the British Pest Control Association (BPCA) and are well versed in the latest ethical methods and products. Therefore, allowing us to deliver the very best service. Every customer we serve in Pembrokeshire and the rest of the UK, can expect a dedicated, dependable service that has your safety and security at its core. Don’t let your pest and rodent control problems cause an issue for your family or work colleagues. Find a quick and effective solution that has your best interests in mind by calling Europest. Please call our friendly and experienced team today on 02920 868961 and find out more about how we can resolve pest problems at your domestic or commercial property.